“We have absolutely no interest in doing Airbnb,” one of the owners of 3629 Windom Place NW said. Still, rather than take the owner’s word for it, Advisory Neighborhood Commission (ANC) 3F/Van Ness voted to stipulate in its endorsement of zoning relief that the owners of the home will not use their planned basement apartment as a short-term homeshare. The unanimous vote of the ANC took place at its regularly-scheduled November 21 meeting. 3629 Windom Place is a single-family home located on a triangular lot at the corner of Windom Place and Reno Road. The couple living there wishes to convert the basement into a separate apartment and rent it out. They might be able to do so as a “matter of right”, that is, without zoning relief or ANC approval, except that they wish to put the door to the proposed basement apartment in the front of the building, and not the side or the rear. 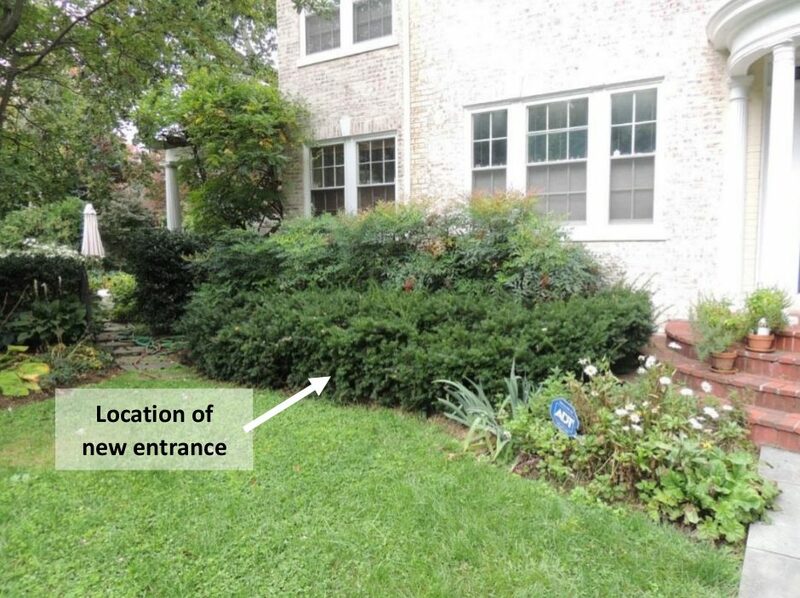 A front-facing door requires zoning relief, according to DC regulations. The owners told the ANC they chose a front entrance because the alternatives would require extra lighting. The extra lighting would shine into the windows of their only neighbor’s house, they explained, while front entrance lighting, if any, would not. The owners also explained that the proposed front entrance would require an alteration to the home’s front walkway, plus the construction of a descending staircase. 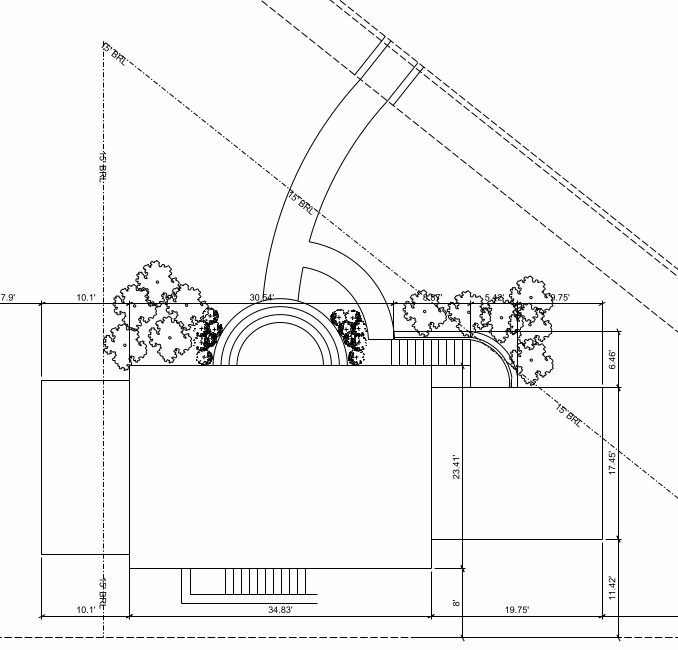 The front door of the proposed basement apartment would be largely below street level and not visible from the street, especially if some shrubs were planted in front of it. The owners’ ANC point of contact was Commissioner Andrea Molod (district 05). Molod recommended to the ANC that the owners’ request for zoning relief be endorsed without reservation. During the subsequent discussion, the owners confirmed that they intended to continue living on the property, probably in the larger unit, as is required by DC law. Commissioner David Dickinson (district 01) said he was concerned that the basement apartment might be used as an Airbnb, and by the precedent that might be set if the ANC approved zoning relief without stipulation. The owners said several times that they did not intend to use Airbnb. Dickinson said the stipulation should be put into the endorsement that the ANC would send to zoning authorities. The other commissioners agreed to incorporate Dickinson’s suggestions with little further debate. Uniform city-wide regulations for Airbnb and similar homesharing services have been proposed by DC Councilmember Kenyan McDuffie (Ward 5) and were the subject of contentious hearings in April. Read a November 21 Washington Post article on this topic here.